One of the most difficult things to achieve as a small business owner is how to create a website and properly implement a strategy that will increase your overall web presence. You spend so much time running your business, where do you find the time to do this on your own? In addition, how do you justify spending money on what most of the time seems like “hocus-pocus”? As a business owner, your website should serve as a lead generation tool, helping to drive potential customers to your business. There are some things that you can do when you roll-out a new site that will make a profound difference on whether your website is successful in helping your business become profitable. 1. Install Analytics Software. Before you start pushing traffic to your new website, you should first figure out a way to keep score or more to the point be able to analyze and understand the behavior of the people that arrive on the site. The best free option is to use Google Analytics.This article titled “Google Analytics: Basic Overview” will help familiarize you with the basics. If you decide you need a paid tool, there are several choices: KISSmetrics, Clicktale and Moz Analytics are three that quickly come to mind. 2. Figure out a Way to Capture Leads and Email Addresses. You need to be able to capture data. Doing this will allow you to start to build a rapport with your visitors and be able to contact them. If you don’t do this, you may never be able to contact or reach out to them again. The primary piece of data to capture is the email address. You can also capture geographic info such as their zip code. You can use Aweber, MailChimp or MadMimi to name a few tools. These tools help to automate the process by putting the emails you collect into a database. These tools will also ensure that you do not get labeled as a spammer by your visitor’s Internet Service Providers (ISP’s). 3. Perform Some Form of Basic SEO. At the very least, you need to have on-page SEO done to your website. SEO stands for Search Engine Optimization. If a website is not “Search Friendly” then there is no way your site will ever be found by people using search engines such as Google, Yahoo or Bing. You will be missing out on a lot of free traffic and advertising for your website. If you have no idea how to perform SEO, hire someone. But be careful, there’s a lot of nonsense going on in this business. 4. Test Your Website to See How People React to the Design and Navigation. To do this you can run short ad campaigns using tools like: Facebook Ads, Twitter Business Ads or Google AdWords. The Ad campaigns mentioned, can be done without spending a lot of money. You can gain a lot of quick insight doing this, you also will begin to get a sense of which search phrases people are using to find their way to your site. You will also be able to collect various user data (location, device type, etc.) about the people visiting your site. This will help you confirm that you’re targeting the right people. 5. Learn to Leverage Social Media. Two of the easiest ways to get traffic to your website and build a following is through Facebook and Twitter. These accounts are free (at least right now). Leveraging social media allows you to share your content and message with several people at once. In addition, if the content is really good, those same people may also share it with their contacts or friends. Having a website is not a one-and-done project. 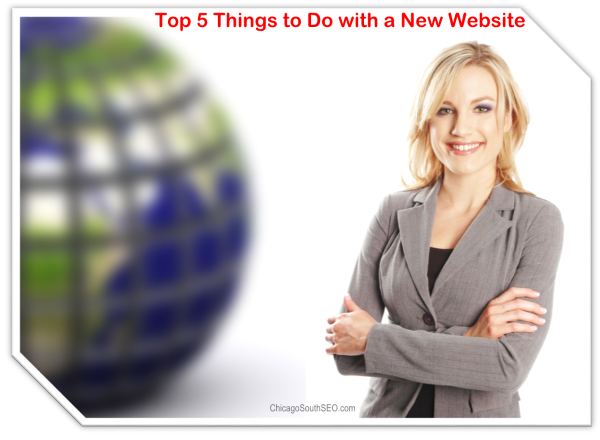 You will find that as the Internet and people’s buying habits change, you will periodically have to make changes so that the site remains fresh and inviting to visitors. Your site will always be a work in progress. Is Building a Website for My Business, a Waste of Time? Is Internet Marketing a Waste of Time for Small Businesses?